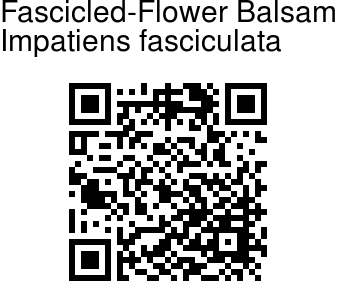 Fascicled-Flower Balsam is an erect soft fleshy stemmed annual plant. It can be confused with Chinese Balsam and Opposite-Leaved Balsam, but the three species can be distinguished by their different spurs. Leaves vary a good deal in width, more or less lanceshaped pointed sawtoothed with setaceous teeth pale beneath. Flower-cluster-stalks are as long as the leaves slender patent each bearing a single pale blush coloured flower sprinkled in the centre with dark purple and yellow dots. Flowers are 1.2-2.5 cm across. Anterior petals are spreading like two broad wings, semi ovate and with a lobe on one side. Spur is curved, sometimes almost as long as the flower-cluster-stalk. Sepal and long, thread-like spur are tinged with green. 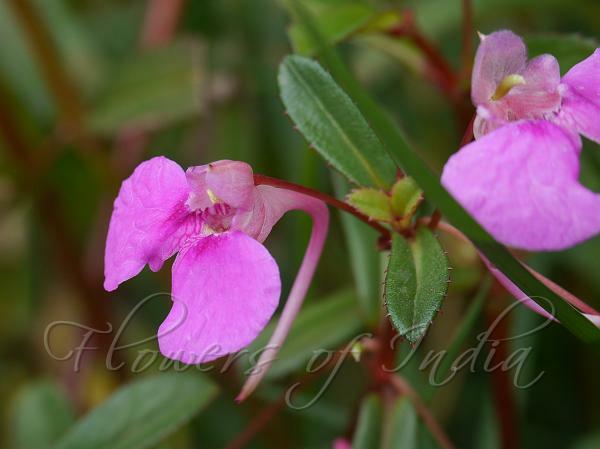 Fascicled-Flower Balsam is found in the Western Ghats and Sri Lanka. Identification credit: Dinesh Valke Photographed on Attigundi Road, Karnataka & Kerala.